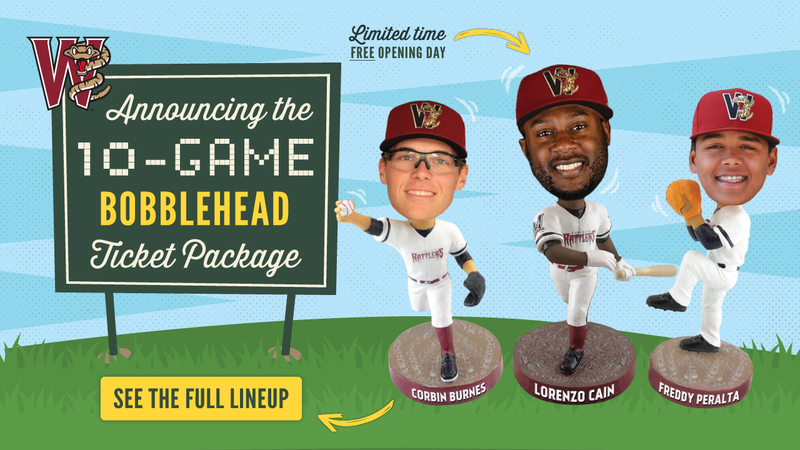 GRAND CHUTE, WI - The Wisconsin Timber Rattlers have scheduled eleven bobblehead giveaways for the 2019 season. There will be a mix of former Timber Rattlers players, mascots, a fans' choice, and a few that are brand new to the team. The 2019 bobblehead ticket package is available now! The package includes a free ticket to Opening Day if purchased by Friday, January 4 and may be purchased as a Box Seat option for $110 or a Reserved Bleacher Seat option for $85 online through timberrattlers.com, in person at the Timber Rattlers Box Office at Neuroscience Group Field at Fox Cities Stadium, or by calling (800) WI-TIMBER or (920) 733-4152. Thursday, August 29: Fans' Choice Bobblehead presented by Pick 'N Save. Fans will be given a slate of former Rattlers and 2019 Timber Rattlers on which to vote and the winner will be the Fans' Choice Bobblehead for the 2019 season. By purchasing a bobblehead ticket package prior to January 4, fans will guarantee themselves all eleven bobbleheads. Fans who purchase a bobblehead ticket package after January 4 will not receive the Opening Day bobblehead as part of their package. The schedule for the 2019 Wisconsin Timber Rattlers season is available here. Fans may purchase full season, half season, seven-game, and ten-game packages for next season through the Timber Rattlers Ticket Office at Neuroscience Group Field at Fox Cities Stadium by calling (800) WI-TIMBER or (920) 733-4152; stopping at the Ticket Office; or online through timberrattlers.com.